The 2005 law known as the Real ID Act, requires states to meet minimum security requirements for state-issued ID cards such as driver's licenses, according to the Department of Homeland Security. Although the agency's extension for the affected states has expired, Pentagon officials have granted extra time for DoD-operated locations. The reason behind the Real ID Act is to stop the production of fake ID's. At this time there is no update to how military bases are handling this legislation. As of now a state issued driver's license should suffice when entering the depots at San Diego and Parris Island. However, we recommend calling ahead of time, leaving enough time to acquire a new state issued ID or a passport. Beyond MCRD is another issue; this March we had a staff member that was not allowed to use her Missouri State ID to gain access to a military facility. As of now not every state is compliant with the law and those who are not compliant have filed extensions. The extension will last until October 10, 2018. For more information on the Real ID Act you can visit the Official website of the Department of Homeland Security. 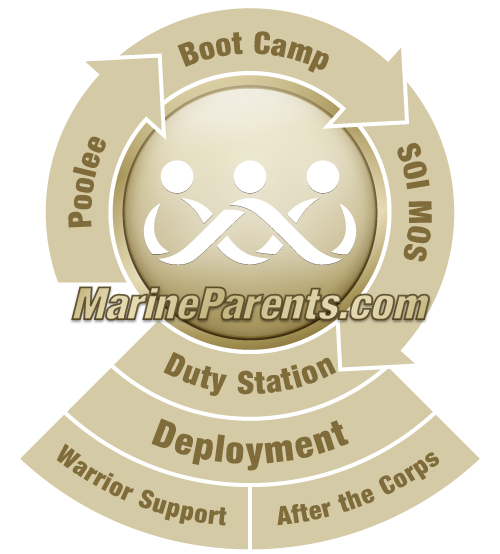 One of the most common questions we are asked is about how to gain access to the various bases recruits/Marines are on. Many people believe that as long as they are with their Marine, or as long as they explain to the gate guard why they are trying to get on base they will be allowed to enter. While this may occur from time to time, this is not the official policy. Keep in mind that the official policy for each installation may differ, but the overall theme remains the same. Even when being escorted by your Marine, the base may require civilians to come to the visitor's center, which are usually located near the front gate. While at the visitor's center the Marine's guests may have to fill out some paperwork and even possibly have their I.D. scanned and put on file. The Marine will be held responsible for the actions of their guest while aboard the installation. These regulations may be frustrating, however they are necessary to ensure the safety of our Marines and recruits. Prepare yourself ahead of time to ensure you have everything you need prior to arriving at the gate. With policy differing at each base you may want to call ahead or check the regulations at the installation's official website. The Defense Biometric Identification System (DBIDS) is an identification authentication and force protection tool that is fully operational on military bases throughout the world. Click here to learn more about DBIDS.